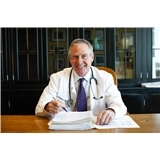 Charles J. Waisbren, M.D. (Wauwatosa) - Book Appointment Online! I had a 7:30 appointment. I had blood drawn, a physical, and another examination and I was in my car by 7:52. Always quick and to the point. Friendly guy and straight forward.